Quality Regulations | Brim hf. 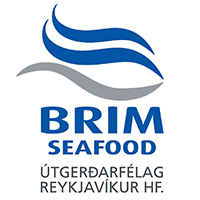 Brim has a clear quality control policy for frozen fish products. The company manufactures products of only the correct quality and secures the highest standards throughout the process from the sea to the market. Rigorously setting its standards, the company follows the HACCP risk factor analysis and thus puts to the forefront the security and the quality of the product. It is the policy of the company to operate at all times intra supervised surveillance by our experts in order to secure a wholesome product. The products are distributed to international markets all over the world following standards certified by the EU.